Was created in 2005. 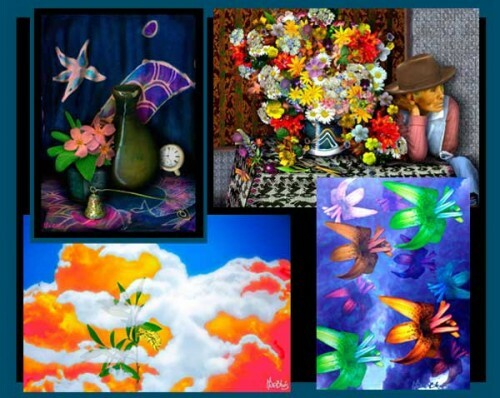 I have always been interested in art work but many events in my life took me away from pursuing it. Traveling, work in the field of forestry, building my home, and my children have kept me busy. In January of 2005 I found that there was something lacking in my life, and I returned to practicing my art. My last large collection was done in Spain during a 6 month trip, which took place 15 years ago. In 2005 I discovered the digital studio, before this time I had no real experience in using a computer, except for playing games. 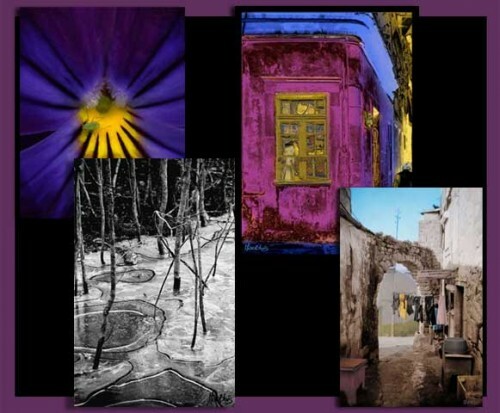 I still do not own a digital camera, but I am well set up with top of the line software and hardware for scanning editing and printing fine art prints. my work flow is color managed including a color calibrated monitor. It has been a year since I began working with image editing software, starting with Paint Shop Pro8, and ending with Photo Shop CS2. I have learned a lot since then, and it has been a steep learning curve, but I love it just as much as working with pastels. I also feel that digital creations are just as valid as traditional methods. 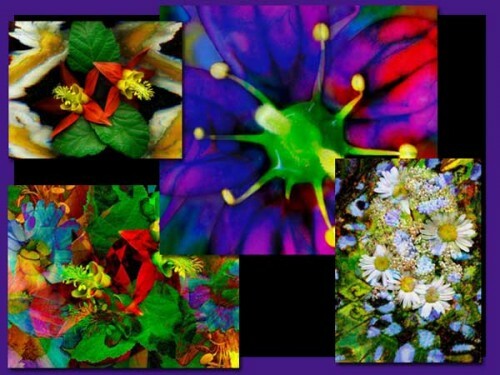 The flowers in this collection are wild flowers common to the interior of BC. They were first scanned and then edited in photoshop CS2. All are for sale in limited editions of 200. "For more details and information on methods used in creating my images visit my web site." Except for the Pansy top left the images were taken with black and white film. The image bottom left is Titled Black Ice taken outside of Victoria BC. The two to the right were taken in Spain. The Pansy is a scanogram with an aphid in the center. All are for sale in Limited Editions of 200. 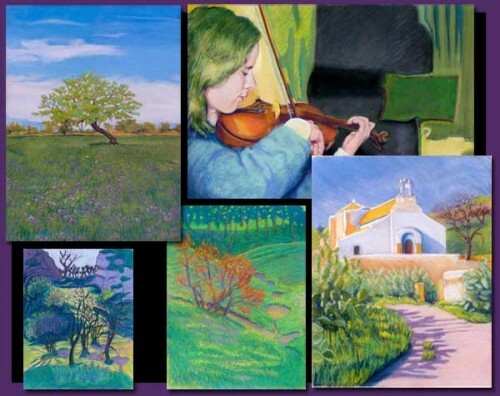 The collection of pastels were created in Spain (bottom three)and in my studio (top two).The originals have been scanned and are color corrected.They are sold in Limited Editions of 200. This is the Montage collection. Most all the objects in the images were first scanned and then composed using Photoshop CS2. All are for sale in limited editions of 200. 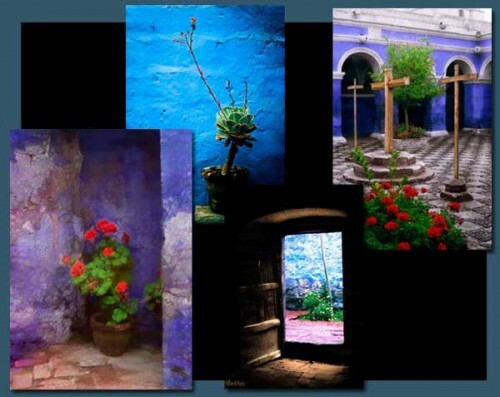 The images in this collection were taken in a Nunnery in Peru. I have used different techniques with each image using Adobe CS2 software. All are for sale in limited editions of 200. By email 24/7. I will read and respond each day between monday and friday. Except when I am at remote locations.